Truck driving is one of the most rewarding careers for individuals around the world. But it isn’t for everyone. The truck driving industry offers a unique set of benefits and challenges that attract a large number of people from all walks of life. In order to know if truck driving is right for you, it’s important to consider some key factors related to the industry. Although many are familiar with truck driving, they know little about what it takes to run a successful truck driving business. One of the best ways to determine if truck driving is the right career for you is to research all aspects of the industry. This provides you with the knowledge you need for building your business. Truck driving can consist of cross-country or local transport. Most truck drivers get started doing long-distance transporting, which often requires them to be away from home for a long period of time. It’s best suited for individuals who enjoy the lifestyle that the job allows, as truckers spend their working hours on the road and most often by themselves. This may not appeal to all individuals, but for those to whom it does appeal, the industry offers a rewarding occupation. 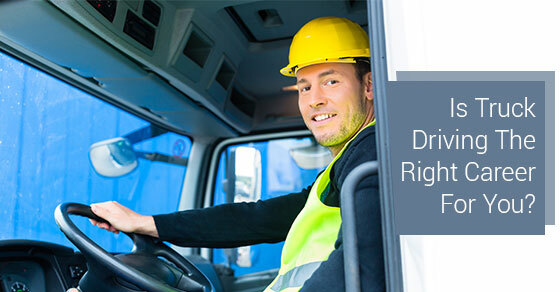 You’ll need to research the requirements related to becoming a truck driver. This includes the various qualifications and licenses that you need to obtain. Once you’ve completed your training, you’ll begin applying to companies looking for drivers. The number of opportunities available to you will vary depending on your location and the surrounding industries in your area. Your success when applying with different companies depends on many factors including your driving history and work record. Trucking recruiters are also available to help connect new drivers with companies looking for transport services. If you enjoy traveling and spending time out on the open road, then a career in truck driving may be right for you. Truck drivers have the unique opportunity to see many different places in a short period of time. They must also put safety first. There are inherent risks associated with transporting materials, and drivers must be aware of all of the safety requirements they need to meet to ensure a positive experience for themselves and others. You’ll get to work with a wide range of individuals and in a variety of industries. If you enjoy working within different industries, truck driving provides the opportunity to support many different companies over time. You can decide if truck driving is the right career for you by researching all aspects of the job and understanding the demands and rewards that it offers. There are resources available to help you secure your first job, and the truck driving industry provides a unique experience that many enjoy. Knowing what to look for provides you with the information you need as you begin your new career in truck driving.